Yesterday was 37°C. Summer is here! I never thought I would find the smells of sunscreen and mosquito repellent so appealing. Caramelised onions on the barbecue and freshly picked basil and mint are more the kind of thing I was actively looking forward to. Summer means lots of eating and cooking outside: barbecues and long cold drinks. We’ve been making loads of tomato salads and grilled eggplant. I’ve been adding finely sliced zucchini to green salads, and using the first of our homegrown herbs. Oh and I’ve newly discovered a love of mangoes, can’t get enough of them. After two winters in a row we’ve finally reached the light at the end of the tunnel, and it’s hot and glorious. So, rhapsody out of the way, this is just a simple recipe with my take on good old coleslaw. I like to have the vegetables shredded or chopped into large matchstick-sized pieces. The crunchy apple adds a great sweetness, while the sunflower seeds bring their usual toasty, nutty goodness. With the sharp dressing the result is a well-balanced, very crunchy salad that is easy to make in huge quantities for when you’re feeding a crowd. 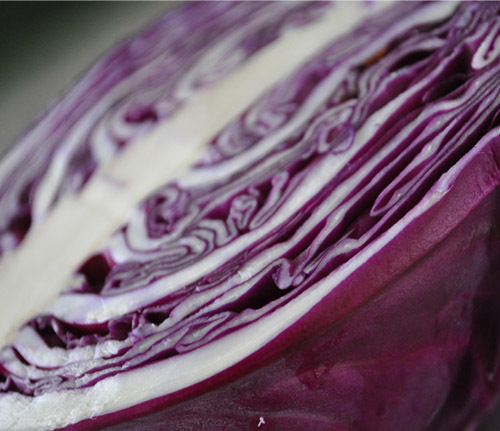 Shred the cabbage finely with the grain, and then chop the long strands into around 4cm lengths. 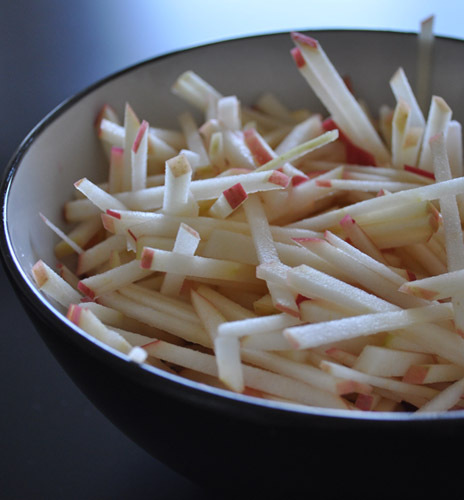 Chop the carrots and apples into matchstick-sized pieces. Clean the spring onions and remove the roots, then slice very finely at an angle. 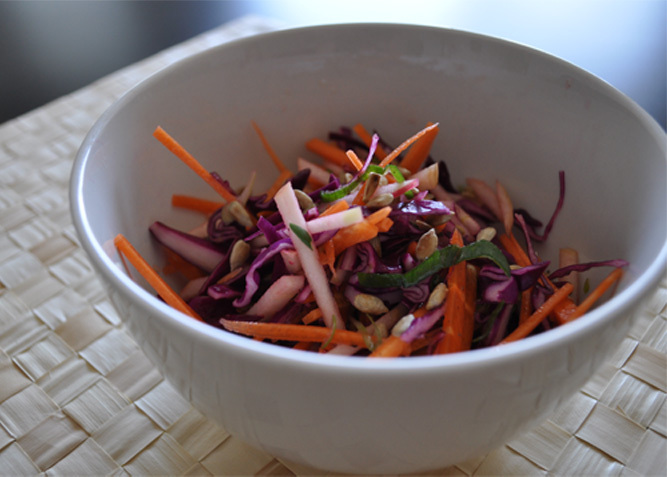 Combine the cabbage, carrots, apples, spring onion and sunflower seeds in a large bowl. Mix up a dressing of 2 parts vinegar to 1 part olive oil (i.e. an opposite ratio to usual dressings) and add a pinch of salt and some freshly ground black pepper. I give ‘ish’ measurements above because the amount of dressing you need will vary depending on how big your veg are etc. Add the dressing a little at a time until you get just the right balance of sweet vegetables and tangy dressing. One great thing about this salad is that it can handle being dressed a while in advance, so it’s great for taking to parties. NB: If you won’t be eating the coleslaw straight away squeeze a little lemon juice over the chopped apples before adding them to the other ingredients to prevent them from discolouring.